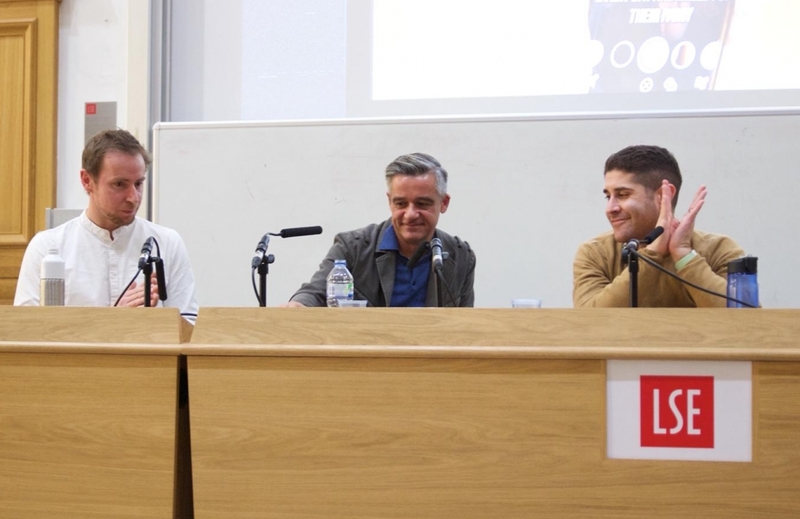 LSE MSc student Reuben Shapland reports on the latest talk from the Media and Communications in Action series at LSE. See the full line-up here. Anyone expecting (and secretly looking forward to) a heated debate between the founder of PinkNews and LADbible’s Head of Communications over the former’s rejection of gender norms and the latter’s capitalisation on a highly gendered identity, would have been disappointed. What we got instead, was a dual masterclass on social media, audience management, utilising new media technologies and striking a necessary balance between commercial gain and moral substance. Benjamin Cohen is best known for founding the LGBT+ news site pinknews.com. He also became at age 16 the first teenage dot.com millionaire, has numerous other successful business ventures and is an experienced journalist. Moving on from Channel 4 to focus on his creation PinkNews, he is in a unique position to tell us that the traditional broadcasters are still way behind in terms of ‘doing social’. For many of us, social media is Twitter, Facebook and even Instagram. Though we might have given Snapchat a go, it’s often overlooked as a growing platform, a hub of creativity and an emerging market. That’s because many of us aren’t in Generation Z, considered the first digitally native segment of the population and the biggest users of Snapchat. 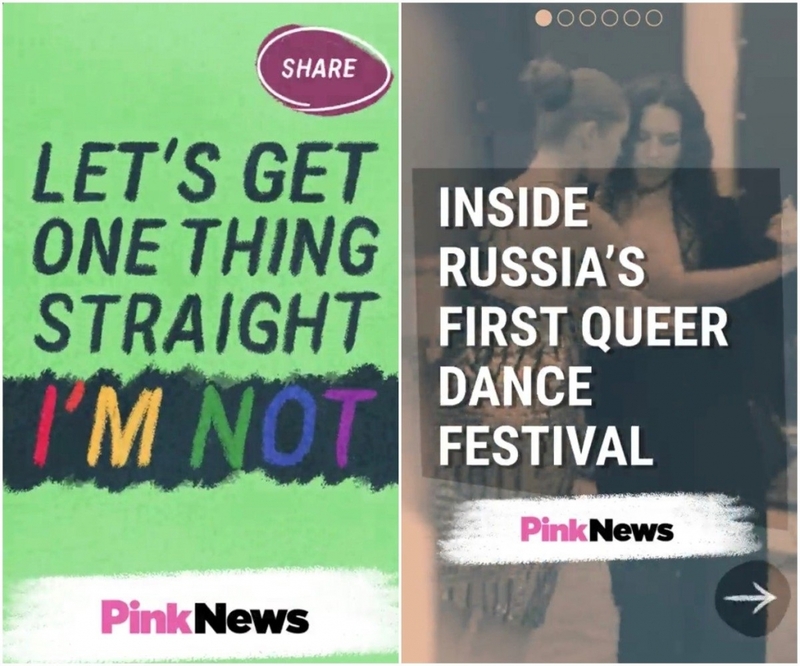 PinkNews have a Snap audience of 20M, growing by 400k users between July and September 2018. Benjamin believes this is just the beginning. He spoke of the commercial benefits to this platform due to advertising constraints imposed by GDPR, but we should go further and point out that young LGBT people have the most to gain from inclusive content that affirms their identity and validates their existence. Peter Heneghan is more of an enigma, rising to prominence in July 2017 as Head of Communications for LADbible. The largest publisher in the world and followed by more than half of 18-34 year olds, LADbible is no joke. Many of us will know what LADbible content looks like and needless to say, there can be some cultural snobbery, viewing this content as low-intelligence click-bait for the masses. Peter challenges this perspective; he insists that LADbible’s following is made up of the most caring and politically aware group on the planet, young people. He cites this conception of the audience as necessary for LADbible’s huge success over the past year, moving it into a realm more closely resembling ethical journalism. Trash Isles is LADbible’s prize-winning campaign, turning 8 million tonnes of trash in the Pacific Ocean into a sovereign state, demanding UN representation for its citizens and generating substantial awareness of this critical issue. For LADbible in particular, the comms strategy raises intractable questions as to whether an organisation can truly make a difference when primarily operating as a profit-seeking body. Prioritising commercial gain over political influence, surely compromises an organisations’ ability to pose risky stories and to challenge the status quo without a majority consensus from its audience. Yet, Peter reminds us that there’s not much point in launching a campaign if no one’s going to see it. LADbible has the following and therefore the potential to reach many more people than say, a non-profit think tank does. Peter made it clear that a golden rule is to never jeopardise their expanding following over a publication. What he refers to as the ‘pub test’, whether or not you can imagine sharing this story with mates down at the pub, ultimately determines their output. This philosophy is hardly new, and it has become very typical in a competitive market, in which audiences are less fixed, more willing to switch outlet with the click of a few buttons and therefore requiring non-stop entertainment to be retained. For PinkNews, one could pose a guess that their audience is somewhat more loyal. And whilst most of its output is exciting, easy and populist, a minority of key stories are published to ensure the necessary publicity of certain issues and to maintain PinkNews’s reputation as a collective voice of LGBT+ rights, digitally recording and documenting the political history of oppression and emancipation. In an exclusive interview, Benjamin shared that PinkNews are focused on reaching a more global audience over the coming years. Not only does this make perfect sense financially; but also, in order to fully tackle LGBT+ discrimination which is still rife in much of the world, it is a political move.